Displacement reaction. Aluminum coil was added to a test tube containing a 0.2M copper (II) sulfate solution. Since aluminum is more reactive than copper, a single-displacement reaction occurred. Copper metal and aluminum sulfate formed as a result: Al + CuSO4 -> Cu + Al2(SO4)3. 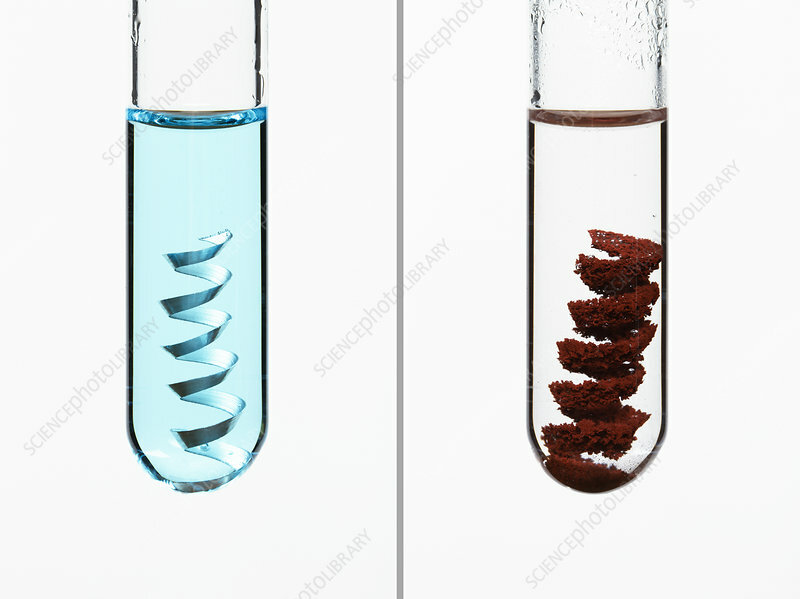 In this sequence left frame was taken just after the coil was added, right frame was taken after the reaction was complete and copper ions in the solution were used up.